Some of the success of this year included the 2009 Ultra High Relief Gold Coin, the District of Columbia and US Territories Quarters, and the Lincoln Bicentennial One Cent program. Although finding the cents and quarters have been difficult to find in change, these new coins had nice designs and was a chance for people to learn about Lincoln’s life and the history of our territories. As the Lincoln Cent enters its 101st year of production, it will be given a new reverse. 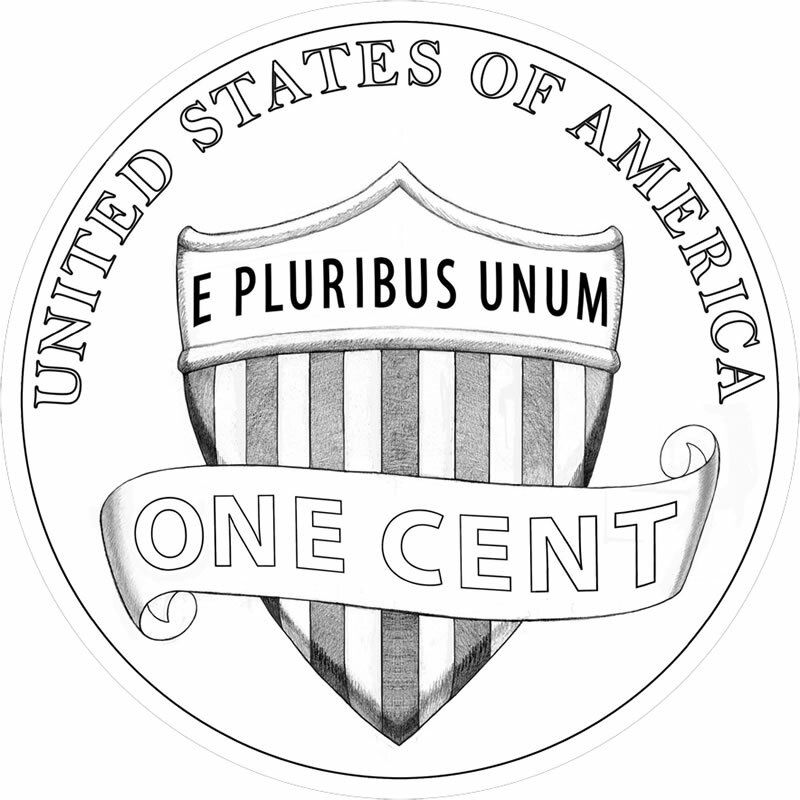 The Union Shield was selected as the symbol of a united country. The shield is featured in many of the frescos painted by Constantino Brumidi throughout the US capitol. Brumidi was the Artist of the capitol during Abraham Lincoln’s presidency. The fresco shown here (at right) is one of the eight trophy panels from room S-128 (from the Senate side) of the capitol. It was design by Brumidi and painted by English artist James Leslie. Starting in 2010, the US Mint will begin the American the Beautiful Quarters Program. It will be a program with 56 quarter-dollar coins featuring designs depicting national parks and other national sites. Although this program might be overkill, the designs show that the program has the promise to show new and interesting designs. Mount Hood National Forest in Oregon. It will be interesting to see if this program will catch on. 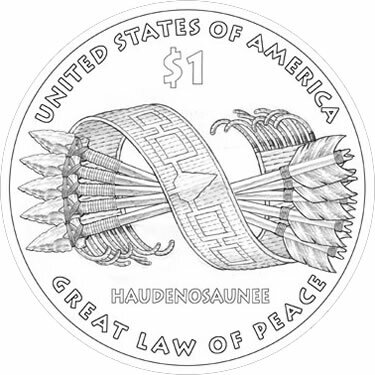 In the second year of the Native American $1 Coin program, the theme for the 2010 reverse is "Government-The Great Tree of Peace." The reverse design features five bound arrows and the Hiawatha Belt. Hiawatha was the helper to the Great Peacemaker who negotiated peace amongst the Seneca, Cayuga, Onondaga, Oneida, and Mohawk tribes in the area now known as New York state. The alliance was known as Haudenosaunee, the Iroquois Confederacy, and is featured on the reverse. The words "Great Law of Peace" is also on the reverse to honor the constitution that created the confederacy. It is a wonderful design that follows up the great design of 2009. Along with the Presidential dollars will be the First Spouse Gold Coins. 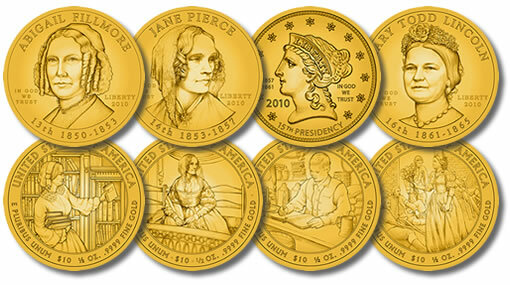 Along with the presidents will be gold coins to honor Abigail Fillmore, Jane Pierce, Buchanan’s Liberty, and Mary Todd Lincoln. President James Buchanan was not married. His first spouse coin will be a reproduction of the Liberty Head Quarter Eagle designed by Christian Gobrecht minted and issued from 1840 through 1907. The reverse design depicts the future President as a boy working as a bookkeeper in his family’s small country store design by Artistic Infusion Program Associate Designer David Westwood. 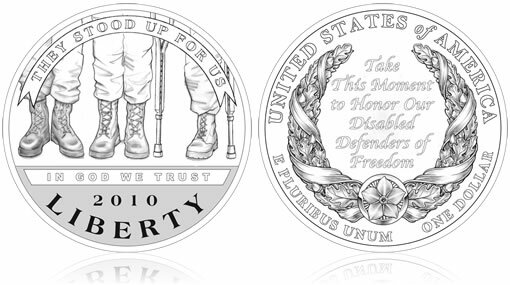 Commemorative coins for 2010 will include the 2010 Boy Scouts of America Centennial Commemorative Coin and the American Veterans Disabled for Life Commemorative Coin. 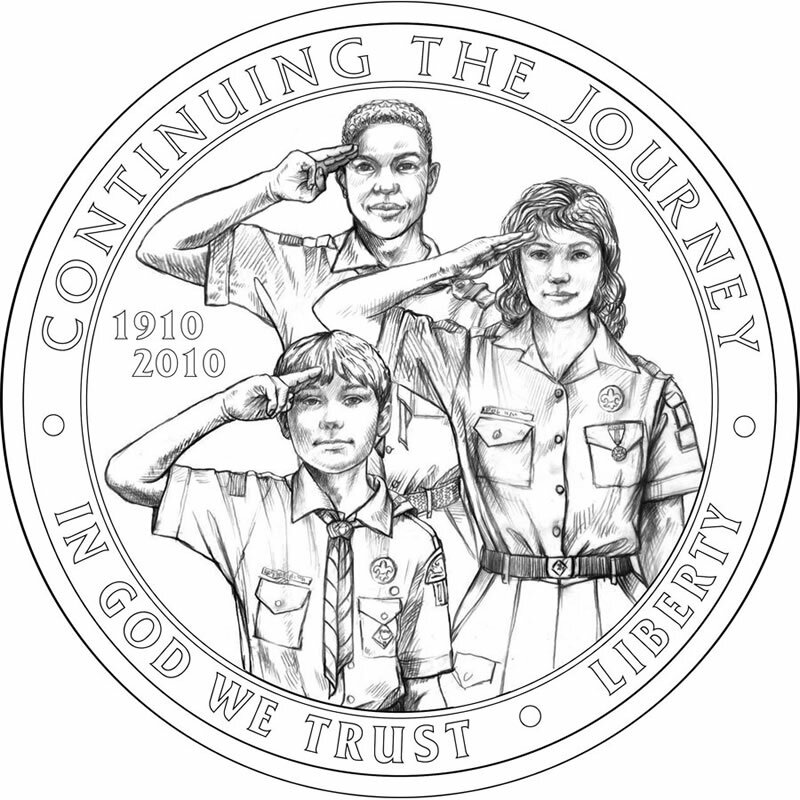 The Boy Scout commemorative celebrates the 100th anniversary of the Boy Scouts of America. The program will produce 350,000 silver dollar coins with the $10 surcharge will be paid to National Boy Scouts of America Foundation who issues grants to local council for the extension of scouting in hard-to-serve areas. its time to change lincoln’s face after 100 years it’s time for a new face. LEAVE THE COIN ALONE!!! SPEND TOUR RESOURCES GETTING THE “HARD” DOLLAR CIRCULATED AND ACCEPTED. IF YOU ARE NOT ALERT WE WILL FIND OBAMA AND HIS CREW ON ALL OUR COINS. 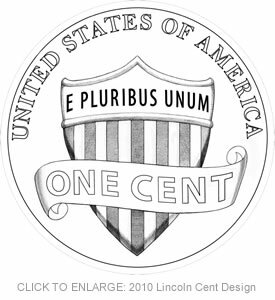 I thought it would have been nice to redesign the obverse to have a “forward-facing Lincoln”, a fresh design, in the style of the new Jefferson nickel obverse. This would align with the Sacajawea and Presidential dollars, where these important figures from American history look out and engage you. With the Kennedy Half Dollar 50th anniversary coming up in 2014, it would have been nice progression to redesign President Kennedy to look out at us.